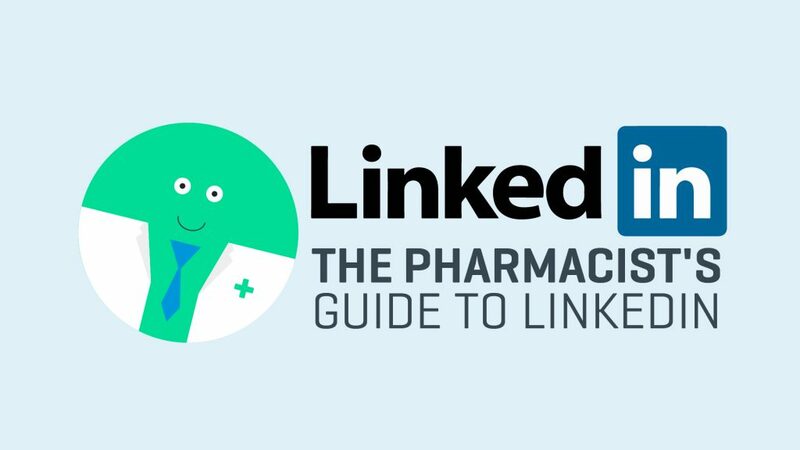 Pharmacy Blog, LinkedIn For many pharmacists, LinkedIn is a step into the unknown. LinkedIn is viewed as a place for marketers, recruiters and business owners who are trying to secure crucial deals. Only, it’s much more than those things. It can be a fantastic place for us pharmacists. I love using LinkedIn, it’s a great space to share ideas, to share articles and to keep up-to-date with pharmacy news in any given location or specialism. It’s also a great place to find work. Is LinkedIn an online CV database? Well yes, there is that element. There are a lot of recruiters on LinkedIn, and they’re trained to find people just like you. They may discover your profile after searching for a Pharmacist, if they have a job available. The clearer you lay out your experience, the best they can qualify you for any available roles. If you’ve stated your experience properly with the appropriate job titles, I’d expect your private message inbox to be busy with recruiters approaching you with jobs! Who are you and why are you here? My profile contains an image of me, my job title, place of work and location. We can also give people an insight into our past with regards to previous roles that we held and where we studied. Why do we do this? Well, using LinkedIn is a bit like networking at an event. We don’t (usually) walk around with masks, refusing to tell people who we are or what we’re doing. On LinkedIn, we want people to be able to search for, and find us. Otherwise, we can’t communicate. It also helps us to search for people who are relevant to our field. I have 500+ Connections, meaning that there are over 500 other brains that I am using to gain information from. As I said previously, LinkedIn is a great space for sharing ideas. I try to search for and connect with as many pharmacists as I can. I read their articles and watch their videos. With LinkedIn, every day is a school day. Who is saying what, and where are they saying it? I love joining Groups. Groups are where we can talk to like-minded pharmacists away from the public eye. We can start our own conversations in these groups, or we can join the conversations of others. I manage several groups, this allows me to control who enters the group and I can prevent people from invading what others see as a safe place. People can share articles here, videos and their own opinions. LinkedIn is a bit like Facebook in the respect that you have your news feed, where you can see a running spiel of activity from your connections. Maybe you’re bored with chatting about changes to pharmaceutical regulation, and you'd prefer to watch your friend’s video about emerging technology, or their charitable work. We also have a private messaging platform that we can use. This is generally where you look for work away from the prying eye of your boss, or it’s where you can set up meetings with a degree of privacy. What can I say and how do I say it? This is where we need to be careful. Does your employer want you watching ninja videos and sharing them when there’s a queue of patients waiting on scripts? Definitely not. So, be careful what you say and where you say it. Some companies have their own guidelines for staff usage of social media. I try to be as diplomatic as possible. Our staff are great at pushing out our message, while also pursuing their own learning and online interactions. I trust them to represent us properly online. You can share your opinions and information in the form of articles, prose, videos or by sharing others’ content. I love the content sharing element of LinkedIn. My peers share pharmacy news, information on CPD courses and I can promote my business to relevant people. If you’re running a business, you may wish to spend money on Sponsored content. Sponsored content allows you to push your content to people in certain locations, with specific job titles. I share my weekly blog article on LinkedIn and have some great feedback! So, should a Pharmacist be on LinkedIn? Yes, I’d highly recommend it. I join and manage pharmacy-related groups, I connect with pharmacy-related people and I have been able to build myself a central platform on which to find all pharmacy news across the UK and Republic of Ireland. LinkedIn has been vital to promoting the Locate a Locum brand, it’s helped us fill locum and permanent jobs, it’s helped me to connect with pharmacy employers and it can help you too! If you're currently using LinkedIn to search for either permanent or temporary pharmacist jobs, you could have more luck by visiting our Careers platform or by signing up to Locate a Locum!